Move over, modern farmhouse. Back up, boho chic. The rising star in the world of home style mashups is organic modern decor. 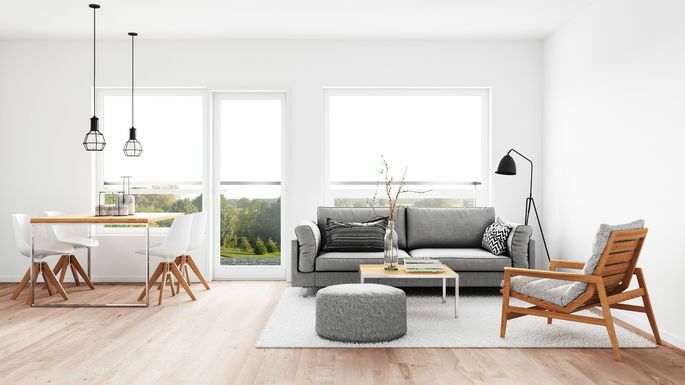 This au courantconcept channels a light, airy aesthetic while combining the best of modern design, natural craftsmanship, and a dash of Scandinavian flair. 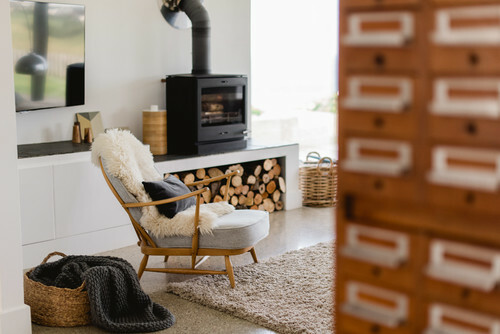 Think cozy, comfortable neutral spaces with well-crafted fixtures such as hand-hewn wooden beams, clean lines, and natural textures and fibers. Even Justin Bieber has taken to the trend—his new home is filled with these touches. 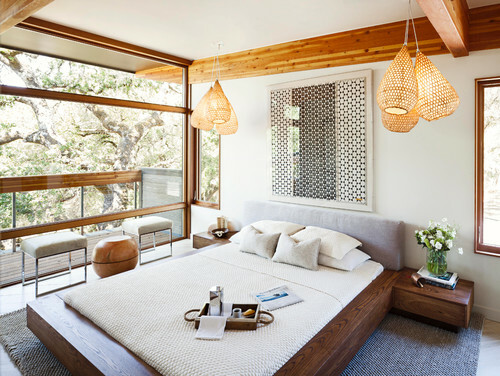 "While organic modern style is a nod to Scandinavian minimalism, it also borrows from midcentury modern and bohemian design to create inviting spaces that are warm, natural, and effortlessly sophisticated," says Stephanie Thornton Plymale, president and CEO of the Heritage School of Interior Design. Has this style piqued your interest? Read on for the simplest ways to incorporate the look into your home. What is organic modern style? Organic modern style is an evolution of the most popular elements of minimalist design that have been personalized and given individual character, explains Beverly Solomon of the eponymous design firm. "The general idea goes back to Frank Lloyd Wright and his concept of continuity," she says. Wright felt that great design should feel like part of the landscape, stressing livability, natural materials, and craftsmanship. The organic modern look also has roots in design from the turn of the 20th century, especially the influence of the Finnish designer and architect Alvar Aalto and designers such as Charles Eames. 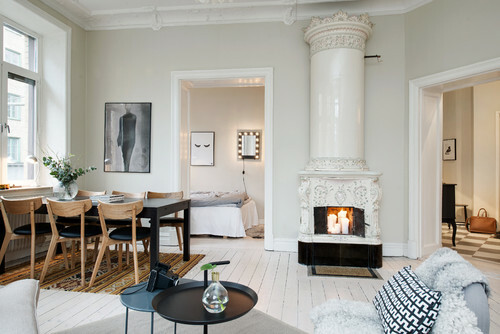 Design experts say the Danish home lifestyle craze hygge is giving way to the popularity of organic modern. 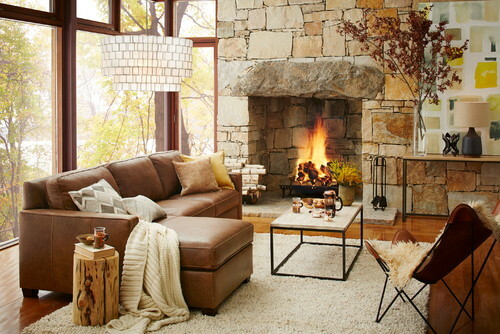 Chunky knits, sheepskin, faux fur throws, and candles all work beautifully in this style. 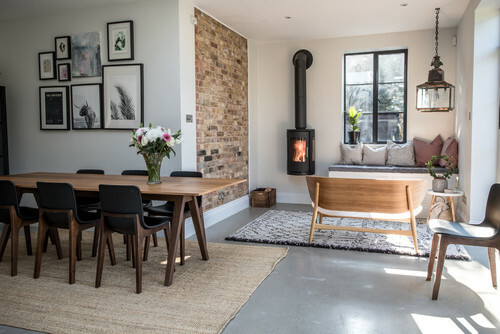 "Hygge describes a quality of warm coziness, which was brought in to complement and soften the modern aesthetic in nordic countries," says Glenn Rush, visual design manager at Build.com. 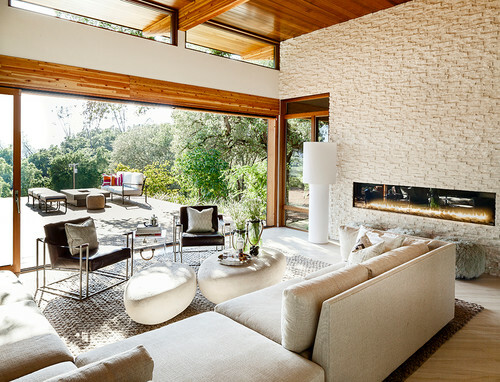 Organic modern style features clean open rooms with natural elements, texture, and very little clutter, says Karen Gray-Plaisted of Design Solutions KGP. One of the key hallmarks is a subdued color palette, which is typically shades of white, gray, or beige with very few vibrant colors. If brighter tones are used—say on a pillow or in a rug—they're used to juxtapose all the white. Looking for a neutral paint shade as a starting point? Consider the ever popular greige family like Ashwood by Benjamin Moore (OC-47) or the quieter, more feminine Pink Ground (No. 202) by Farrow & Ball. The clean lines of a leather sofa go perfectly with a modern organic decor scheme. Gray-Plaisted says you should stash all thoughts of tufted sofa in favor of simple geometric shapes. 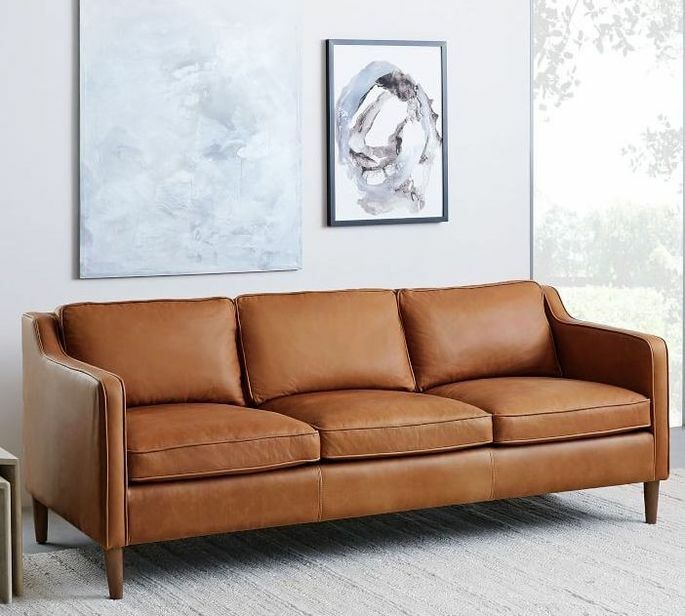 A leather option like the Hamilton sofa (seen above) fits the bill ($2,400, West Elm). The best way to curate an organic modern aesthetic is to choose a rug made from natural materials like sheepskin, cowhide, wool, or sisal. One to consider: the Gracie Oaks tribal handwoven area rug ($130, Wayfair). Other materials can include wood or natural stone flooring, bamboo, and, of course, live plants. "Look for natural, sustainably produced fibers like linen, cotton, bamboo, seagrass, and jute, coupled with reclaimed wood and recycled glass and metal," Plymale says. The simple, sharp lines of furniture in this style can be broken up by organic textiles that are begging to be touched. We love the color-block designs of these Bainbridge Pillow covers ($68–$88, Serena & Lily) to accent chairs and beds. Make it easy on yourself, and hit up the bigger retailers for larger items (Design Within Reach, Anthropologie, Restoration Hardware, World Market) and then accessorize with handmade, one-of-a-kind pieces from Etsy. Plymale loves the idea of a Danish teak or natural hide slingback chair with a native woven blanket from a local vintage shop. 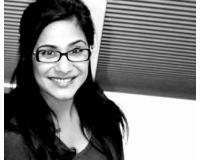 "She is truly awesome. She will work day and night to find the perfect place for you to call home. She is always there for you. You can't ask for a more professional, hard working and caring individual!"